Bryan Singer is returning to the world of mutants. 20th Century Fox has tapped the X-Men and X2: X-Men United director to helm X-Men: Days of Future Past, the sequel to X-Men: First Class. Matthew Vaughn was in talks to return as director but he dropped out last week, reports Deadline. Matthew Vaughn will produce the sequel along with writer Simon Kinberg and longtime X-Men producer Lauren Shuler Donner. 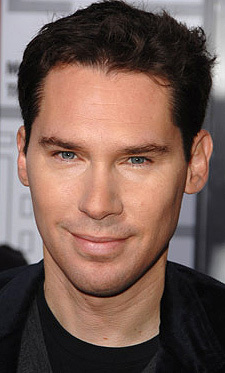 Bryan Singer launched the X-Men feature franchise and was involved in First Class as a producer. Set to reprise their roles are Michael Fassbender, James McAvoy and Jennifer Lawrence. “Days of Future Past” gets its title from the memorable storyline in The Uncanny X-Men comic books. The story arc alternates between present day, in which the X-Men fight the Brotherhood of Evil Mutants, and a future timeline caused by the X-Men’s failure to prevent the Brotherhood from assassinating Senator Robert Kelly. In this future universe, Sentinels rule the United States, and mutants live in internment camps. X-Men: Days of Future Past is slated for an July 18, 2014 release.